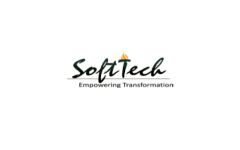 Business description - SoftTech Engineers started in the year 1996 as a software product innovation company catering to the Architecture, Engineering and Construction (“AEC”) vertical. The company has been specialising in developing product for e-governance and construction ERP products for smart city projects, municipal corporations, urban local bodies, development authorities and work organizations. The Company also offers 2D and 3D CAD based intelligent and machine learning driven technology which eliminates entire human intervention along with providing Cloud Technology enabled products offered as “SaaS”. The company’s flagship products PWIMS provides a complete online solution to Public Works Department (PWD) for e-procurement and work management. Its other product AutoDCR, launched in 2005, is software for automation of building permits approvals which is used by the government authorities in scrutinizing and automating the building permits based on the CAD based building plan which works on an online system and environment. In 2010, the company launched OPTICON which caters to the needs of construction contractors and real estate companies by helping them in cost estimating, construction management and overall automation. SoftTech Engineers received VC funding from Rajasthan Venture Capital Fund in the year 2014 which holds 26.77% stake in the company. SoftTech Engineers IPO allotment status is now available on Link Intime's website. Click on this link to get allotment status. Yes, very reasonable price and pe ratio. And there is a real business in this case, unlike other sme which are just looting investors money.